The fallout of the recently conducted governorship and state assembly elections across the country has shown the sophistry of Nigerian voters. The results were clear departure from the past where bandwagon effects follow the outcome of the presidential election. Many believed that the candidates of the ruling All Progressives Congress (APC) would have a field day following the walloping of the opposition People’s Democratic Party (PDP)’s candidate, Alhaji Atiku Abubakar, by the incumbent, President Muhammadu Buhari at the polls. Buhari had defeated Atiku with about four million votes! But in a poll that signaled a paradigm shift in the annals of political contest in the country, states hitherto considered as the strongholds of the ruling party were visibly shaken by the opposition. The political tsunami that swept through the country has become a topic for political analysis to show that the nation’s democracy is actually on an upward swing. Political dynasties were shattered and the vice grips of some strong personalities on some states political super structures were loosened with victims being consigned into political oblivion. The political relevance of figures like the Senate President, Bukola Saraki, Ibikunle Amosun, Abiola Ajimobi, Godswill Akpabio, George Akume, Rochas Okorocha and other fall guys has been sufficiently decimated. These have been forced into political hibernation for at least the next four years. The good news is that a novel political leadership is evolving in the country. But a new word has crept into the nation’s political lexicon. The word ‘inconclusive’ which is generally seen as a stopgap to rescue some drowning candidates during elections has caused a lot of despair in the nation’s polity. At the gubernatorial level, inconclusive was the election in Kogi state when the winner of the November 2015 governorship poll and APC candidate, Prince Abubakar Audu, died at the twilight of the announcement of the results of the election. The Osun state governorship election was equally declared inconclusive and a rerun ordered in some areas before the incumbent governor was declared the winner. The concept of inconclusiveness gained more currency this time when elections conducted in six states including Adamawa, Benue, Bauch Kano, Plateau and Sokoto were declared inconclusive. Except Plateau, the opposition was cri sing home to victory in these states before the concept of inconclusiveness was invoked by the electoral officials. 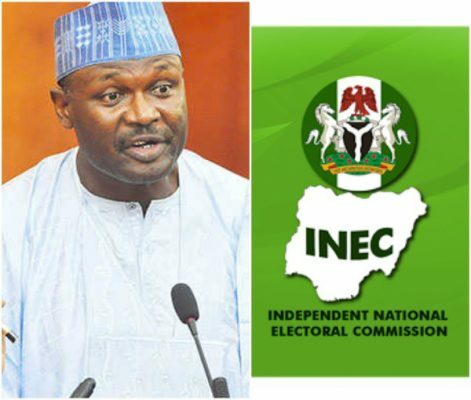 While the opposition raised the alarms that the elections were declared inconclusive to pave way for the ruling party to perfect its manipulative skills and swing victory in favour of its candidate as allegedly done in Osun state, the electoral umpire maintained that the polls were declared inconclusive in line with the provisions of the Electoral Act to ensure fairness and transparency. But some have consistently maintained that declaring an election as inconclusive after votes have been collated and results announced, with the leading candidates meeting the the provisions of the constitution in Section 179(2), is unconstitutional and thus null and void. They hold that anyone not satisfied by the outcome of polls should approach the tribunals for redress. As things stand now, it has become imperative for the National Assembly to critically look at the Electoral Act and suggest credible amendments to safe the country from the emerging conundrum inconclusiveness that is fast becoming an alibi to circumvent the will of the masses. Adequate measures must be taken by the INEC to allay the fears being entertained by the people concerning the impending supplementary polls in the affected states. If there is anytime the electoral umpire needed to prove its neutrality and impartiality in the conduct of the general elections, that time is now. The oncoming polls must not only be transparent and credible, it must be seen to be so by all. There have been reports that some politicians have begun to stockpile funds to buy votes at the supplementary polls. This must be prevented by all means by the security agencies. This is the time for the secret service to commence intelligence gathering ahead of the polls. Vote buying would compromise the integrity of the election and subvert the will of the people. INEC must ensure that votes count. It is regrettable that the culture of violence has become entrenched in the nation’s polity. This necessitates the deployment of security agencies to ensure peaceful conduct of polls. But the deployment of security has come with its own shortcomings as there have been allegations that those commissioned to be impartial and apolitical during elections have been compromised. Those security men to be deployed for these reruns must shun partisanship. The elections scheduled to hold by March 23rd must be demilitarized as there are suspicions that the overbearing presence of the military may scare away prospective voters and pave way for manipulations. It is only by doing this that the electoral umpire and security agencies can rebuild confidence and earn respect of the people.